A number of stars will be out-and-about for a special doggy charity fashion show later this month. Maria Sansone, Wendy Diamond, Lisa Oz, Nanette Lepore, Catherine Melandrino, Olivia Corwin, Narcisso Rodriguez, Sonja Tremont Morgan, Sara Gore, Tinsley Mortimer, Peter Davis, Wendy Lerman, Ramona Singer, Marc Bouwer, Maggie Norris, Chris March, Adam Lippes, Wes Wang, Jennifer Jablow, Jordan Lippner, Rob Shuter, Jimmy Floyd, David Meisel, Natalie Morales, LuAnn de Lesseps and their stylish dogs will take part in Animal Fair Media’s 11th Annual Benefiting The Humane Society of New York. At this Paws for Style fashion show, doggy parents can celebrate with their pet, raise money for animal rescue, and go home with their tails wagging. Of course there will also be dogs up for adoption! 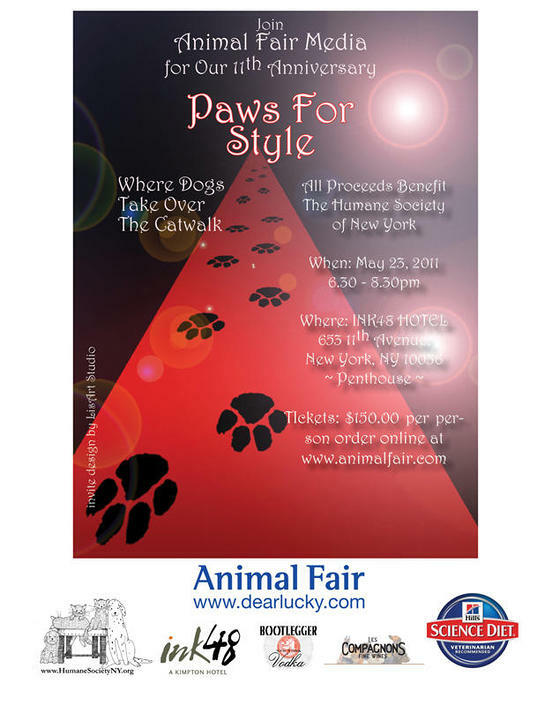 At this year’s must-attend benefit, doggies and their parents are taking over the catwalk yet again for the 11th Annual Paws for Style fashion show on May 23, 2011! This year Bravo’s new TV show Mad fashion will be filming the event! The doggie fashion show that is a high-profile charity event, where only the best dressed four-legged and two-legged fashion Divas, strut their stuff while helping to raise funds for the Humane Society. A multitude of celebrities and models will serve as dog walkers for the event while an array of world-famous fashion designers create one-of-a-kind outfits to be adorned by the amazing canines. Puptails for the dogs and a doggie buffet of Hill’s Science Diet so that the dogs will be fit to go down the catwalk. The event takes place at the INK48 Hotel, 653 11th Avenue, New York at 6:30pm on May 23. Tickets are $150 per person. 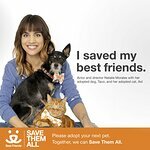 Find out more here, or visit the Humane Society of New York’s website.